Rolesville began as a humble farming community of which many large family tracks are still cultivated today. Most of the large family farms in the heart of Rolesville have been developed into residential or commercial subdivisions, allowing Rolesville to become one of the top three fastest growing communities in North Carolina every year since 2005. Rolesville is a good choice for families with children because of several factors. Many other families with children live here, making it a place where both parents and children are more likely to develop social ties with other families. The town’s good public school district and large population of college-educated adults provide an environment conducive to academic success. Many people own their own single-family homes, providing areas for children to play and stability in the community. Finally, Rolesville’s overall crime rate is lower than average for the country. 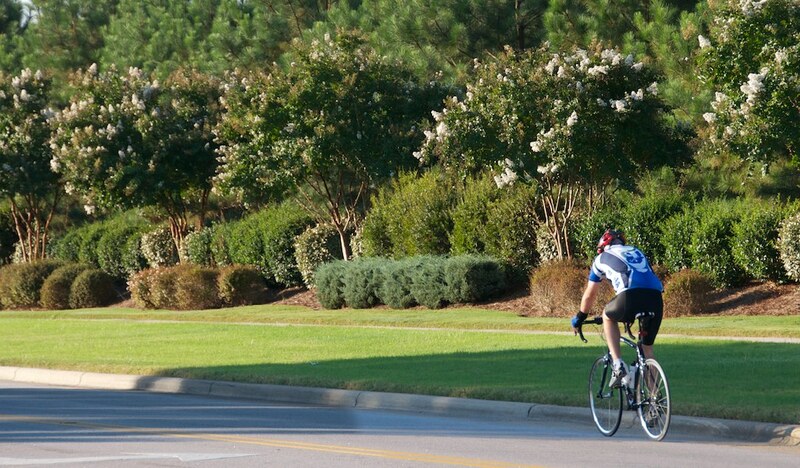 Rolesville currently has three parks, many acres of open space, and miles of trails being planned and designed through approved development. The three existing parks are the Rolesville Community School Park located at 121 Redford Place Drive, Main St. Park located 200 South Main Street (US 401), and Mill Bridge Nature Park located at 4600 Winslett Drive. We also have one community center located at 514 Southtown Circle. How’s the market in Rolesville? One of the great advantages of buying a new Rolesville home is the education available. Excellent schools are here as well as charter schools, private schools, and other choices. The Wake County Public School System serves Rolesville. You can feel good knowing that schools in Rolesville are considered exceptional places to learn. Interested in Relocating to Rolesville? If you have liked what you’ve heard so far about Rolesville and are ready to take that next step toward purchasing you own home here, then please contact me, Jim Allen, and my team of Wake County real estate experts, today. We would love to assist you by answering any questions you might have as well as telling you all about available Rolesville listings. We’ll also offer you some valuable home buying tools that will make the real estate transaction process that much easier. List Your Current Rolesville Home With Us! And please also remember to contact us if you’re interested in listing your current home on the market. We will work diligently to assist you by answering any questions you may have as well as creating a tailor-made marketing plan for you and your home.